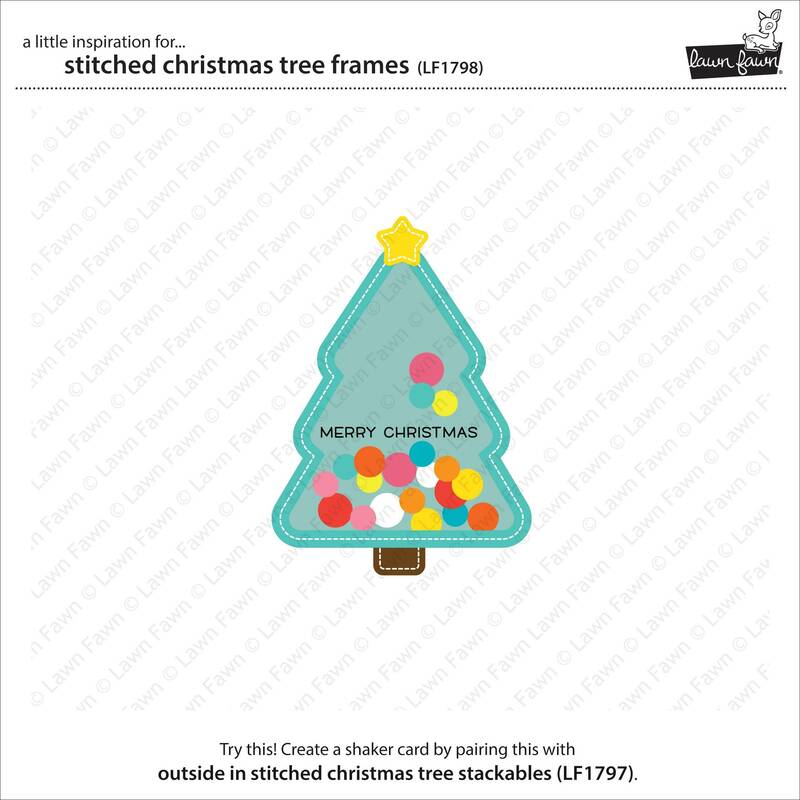 Get festive with your Christmas designs by using the Stitched Christmas Tree Frames Lawn Cuts Dies! 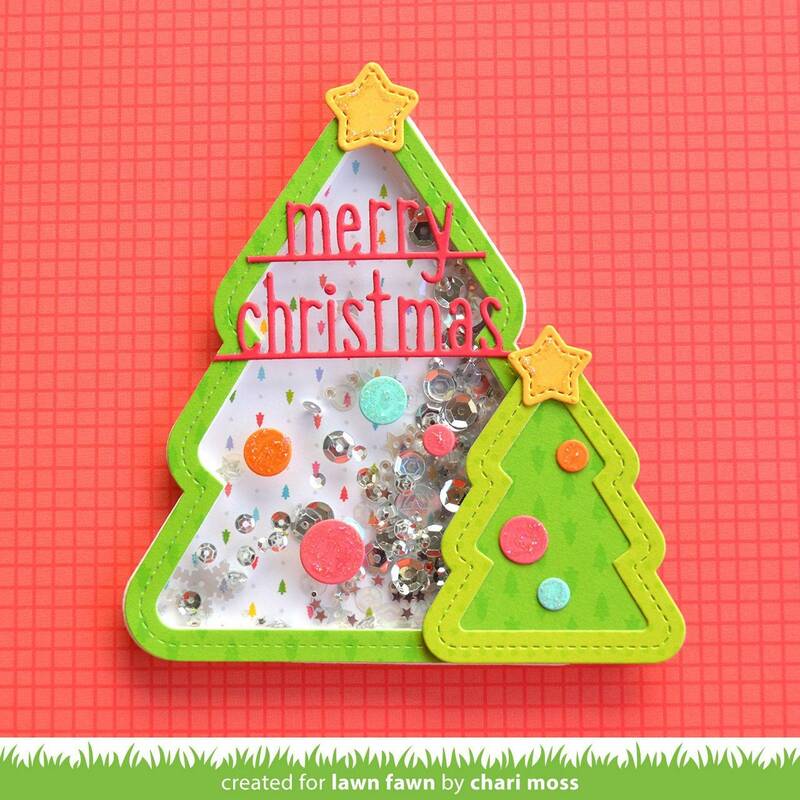 The package includes 4 thin metal dies featuring 2 tree shapes, ornaments and a star. 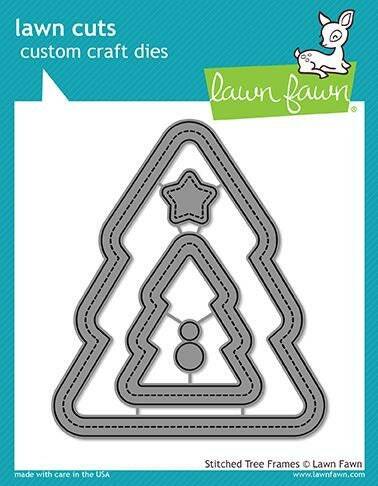 The set is by Lawn Fawn and is made in the USA. The dies are compatible with most die cutting machines (sold separately).